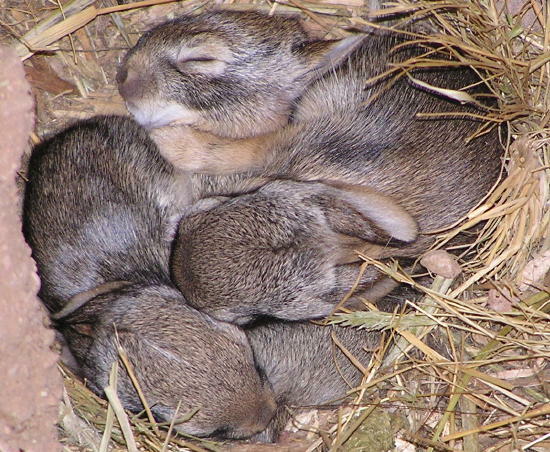 There's a bunny nest in the horse barn! See...look straight down in that hole. Aren't they cute? How many are there?